This is the drawing I decided to juxtapose with the lung. 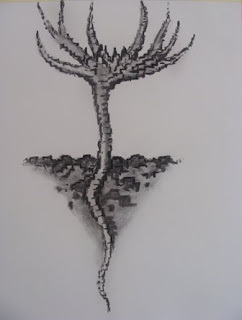 It is also based on a digital print of an illustration of a pine seedling. The idea comes from a true story concerning a Russian man who breathed in a pine bud which sprouted in his lung, causing him severe pain.